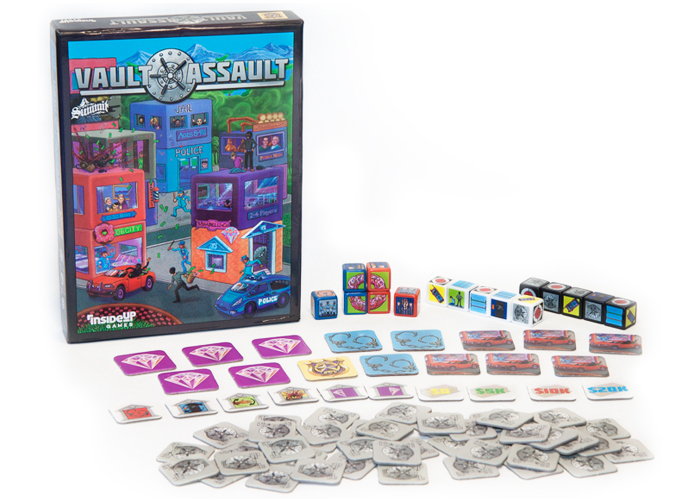 There is no rivalry in the world of make-believe more iconic than cops versus robbers, and rarely has that classic dynamic been as frenetic and as fast-paced as it is in the dice game we’re reviewing today, Vault Assault. The goal of the robbers is to acquire as much wealth as possible and then escape before the cops arrive. The goal of the cops is to minimize the amount the robbers acquire/get away with and capture the robbers before they can escape. Each round, the players will portray both the cops and the robbers, allowing players opportunities to both rack up lots of ill-gotten gains and minimize the loot captured by the other players. 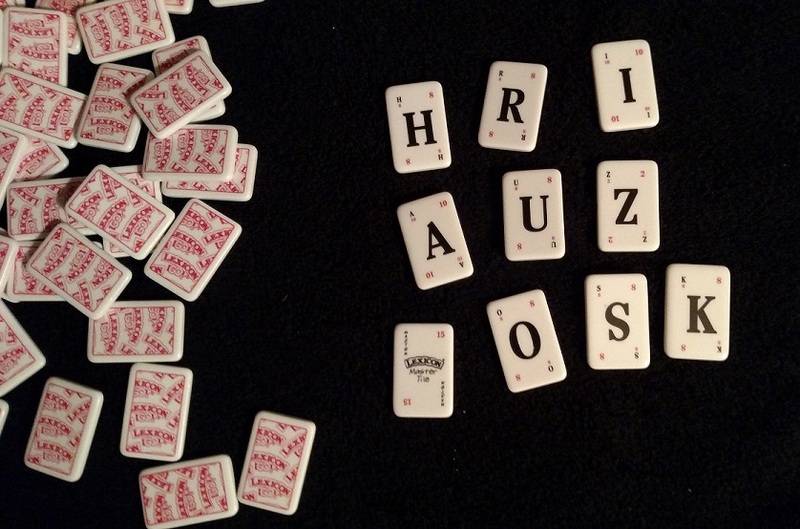 Each round consists of two phases: the Diamond Heist and the Vault Assault. 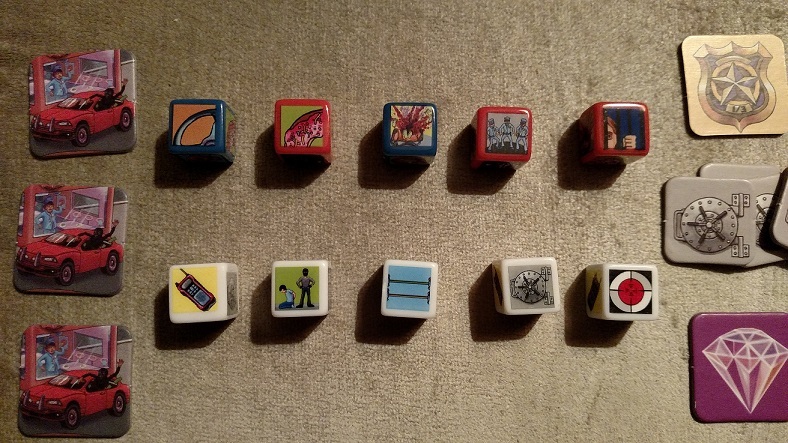 In the Diamond Heist phase, the cops and robbers each line up five of their dice. (The cops do so secretly, laying out an arrangement of three alarm symbols, one dye-pack symbol, and one diamond symbol in any order they choose.) The robbers lay out five wire symbols, and then choose one to flip, trying to match the one they flip to the diamond symbol the cops have secretly chosen. Essentially, the Diamond Heist is part strategy, part luck as the robbers try to steal the diamond by cutting wires to the security system, while the cops lay dye-pack traps to ensnare the robbers. Either the cops will begin the Vault Assault with an advantage or the robbers capture a diamond tile as part of their loot. Once the Diamond Heist phase is concluded, the Vault Assault begins, and the game kicks into another gear. 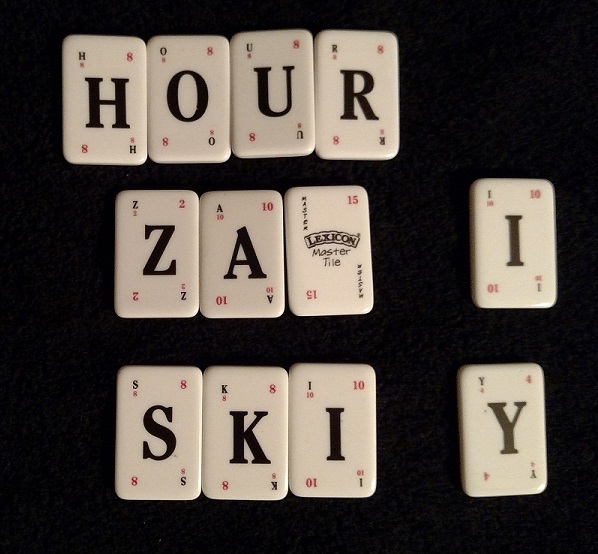 Tenzi- or Yahtzee-style dice rolling and quick decision-making become crucial as both cops and robbers try to roll specific patterns in order to complete tasks. As the robbers roll to steal from the vault (or each other), to interfere with the cops, or to escape, the cops are trying to complete rolls in order to fuel up, arrive at the crime scene, engage the robbers, and arrest them. 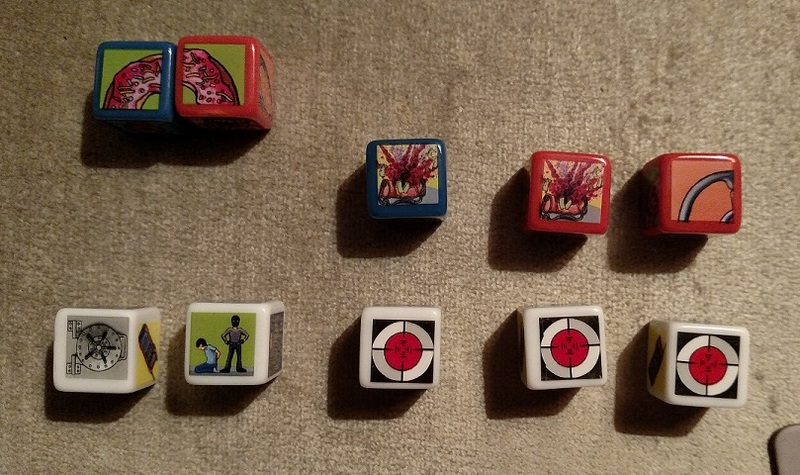 Both sides roll their dice at the same time, making for an incredibly chaotic and fun play experience that simulates the kind of stress you might be under if you were really robbing a bank and trying to get out before the cops arrived. Between robbers filling their coffers (and forcing the cops to reroll their dice) while the cops confiscate some of the stolen loot while trying to arrest the bad guys, it’s a very competitive and adrenaline-inducing sequence of events. In this scenario, the cops have two out of the four doughnut symbols up (meaning they’re halfway to completing the first task en route to arresting the robbers). But they also have two dye-packs up, and two more dye-packs would allow them to remove several Vault Tiles from the robber’s stacks, meaning the robbers would have less loot. Would you choose to keep rolling for doughnuts or to hamper the robbers with dye-packs? On the robber side, they have three targets, meaning they’re one away from stealing a Vault Tile from another player and adding to their loot. But they also have a green hostage symbol up, which they can put aside in order to make the cops immediately reroll all of their dice. Would you choose to go for the steal or to disrupt the cops’ efforts? In addition to all that interplay, some of the vault tiles also trigger actions that can hamper your gameplay. 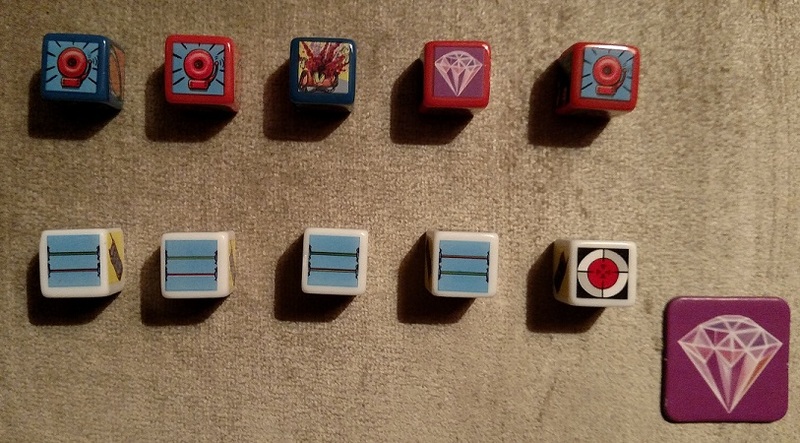 A handcuffs symbol, for instance, means you have to roll your dice with your wrists together until the end of the turn (as if you’re handcuffed). These little roleplay-centric details add a playful edge to the game, injecting a bit of silliness into gameplay that could otherwise turn somewhat cutthroat. One several rounds have elapsed, the players (both cops and robbers) total up the value of the loot in their getaway cars, and the player with the highest total wins. 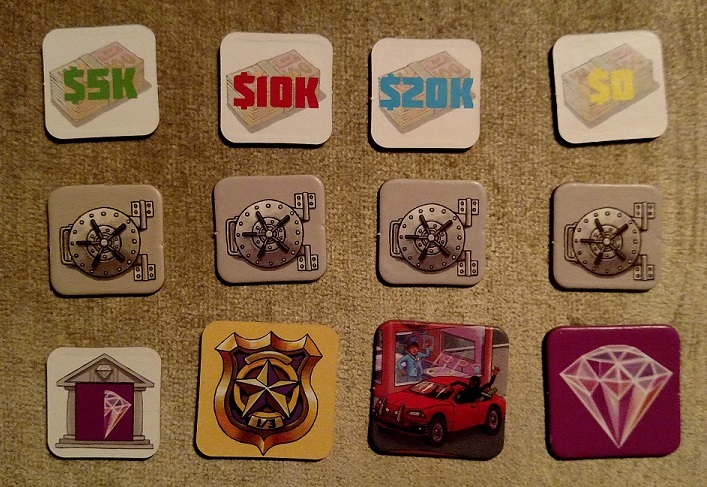 Oh, and those Diamond Heist tiles? They’re worth $40,000 apiece! Vault Assault is less about long-term strategy and more about being able to make good decisions in the heat of the moment. 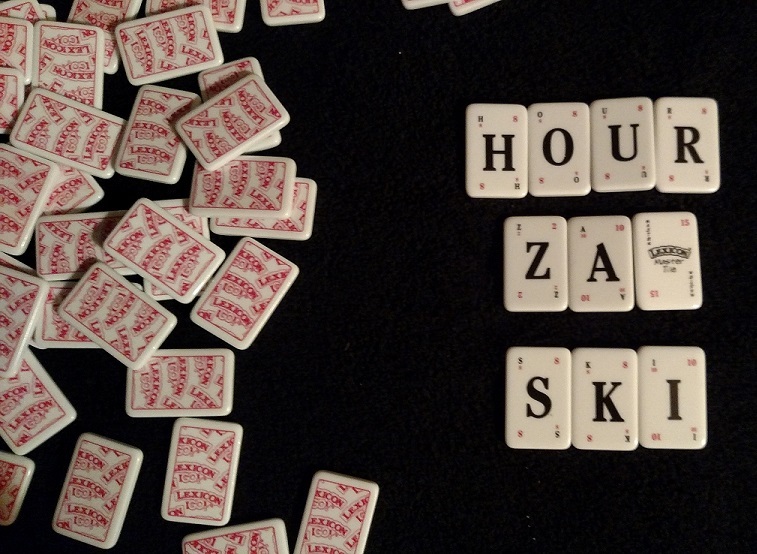 If you’re able to put your puzzly mind to work making the most of the dice rolls in front of you — both to increase your profits and hamper your opponents, whether you’re a cop or a robber at the time — then you’ll probably come out ahead. Of course, that’s more of a one-on-one mindset. And with three-player and four-player/team rules to allow for different combinations of players, you can implement some wider strategic gameplay. In three-player games (1 cop and 2 robbers), have one robber focus on hampering the cops while the other raids the vault (and then switching, so both robbers can cash in). In four-player/team games (two cops, two robbers), one cop can focus on recovering stolen goods while the other works on arresting players. There’s plenty of fun to be had with the format. Can you cash in, hold the cops at bay, and make your escape, or will the cops nab you and all your ill-gotten goods before you make it out the door? And in the end, will you make a better cop or a robber? There are all sorts of different card games out there. Some require you to empty your hand of cards before your opponents can. 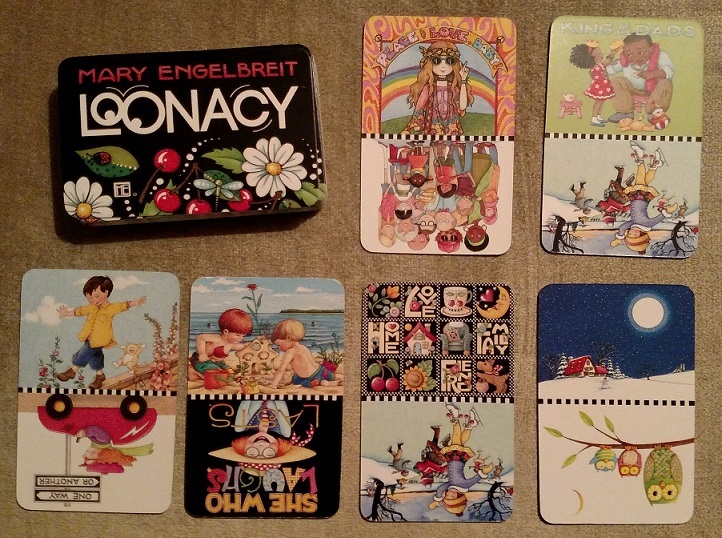 Some are about accumulating the right cards to accomplish certain tasks, reach certain totals, or match certain patterns and images. Today’s card game is a little different, because it’s not about emptying your hand, accomplishing goals, or matching images… it’s all about outlasting your opponents. 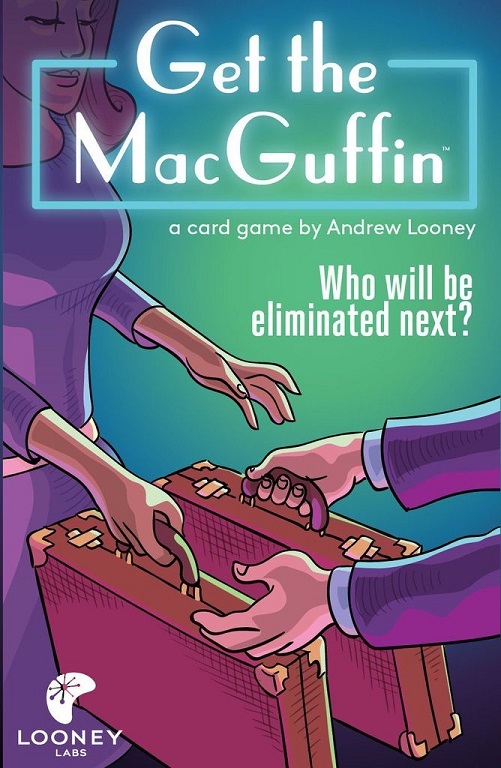 In today’s product review, we explore the latest offering from the crew at Looney Labs: Get the MacGuffin. At first glance, this might simply seem like a scaled-down version of Fluxx. You have action cards (which affect how you and other players play the game) and object cards (which are placed down in front of you, like the Keepers and Creepers in Fluxx). 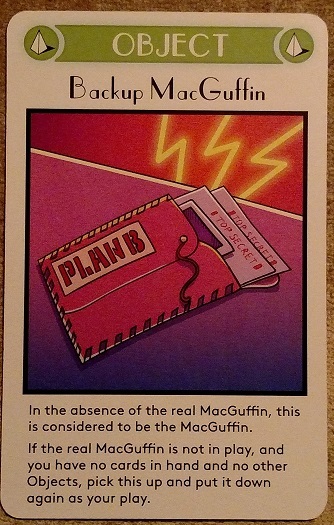 As you might expect from the name of the game, getting the MacGuffin is a worthwhile accomplishment, but it’s not the true endgame here. It’s just one very attractive way to reach the endgame. Between the action cards and object cards, you’re simply trying to keep cards in your hand or in play in front of you while your opponents whittle down their own meager stashes of cards. If you run of cards, you’re out of the game. And this happens faster than you’d think. With only 23 cards in the deck — 7 object cards and 16 action cards — you could run out of cards in only a few turns. 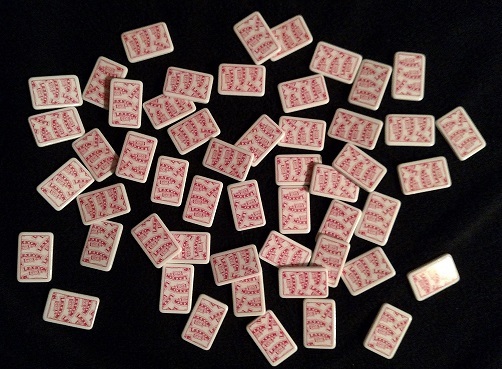 You see, each player starts with the same number of cards. 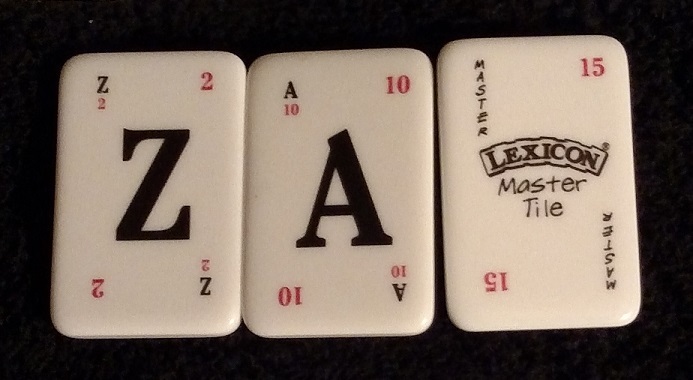 But there’s a big difference between the minimum number of players (two, which means you each get 5 cards, leaving 13 cards out of play) and the maximum number of players (eleven, which means you each get 2 cards, leaving 1 card out of play). The cards vary wildly in value. Some are very silly; play The Shrugmaster, for instance, and you simply shrug, using up a turn. Otherwise, you don’t affect the game or the other players in any way. 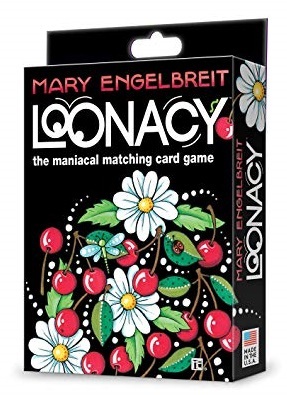 Compare this to a valuable card, like The MacGuffin, which can be picked up and played again over and over. As long as you have that card in play in front of you, you will always have another turn. 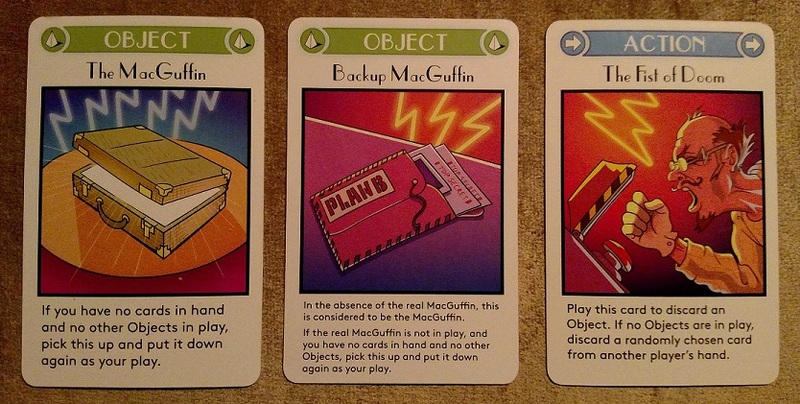 In a game where every turn can cost you cards, The MacGuffin is a powerful card to wield. Players familiar with Fluxx will find some of the actions and object card powers familiar, as they allow you to randomly remove cards from other players’ hands, swap cards (or hands) with other players, and even block other cards from being used. This adds tons of replay value to a card game that at first blush might seem limited. 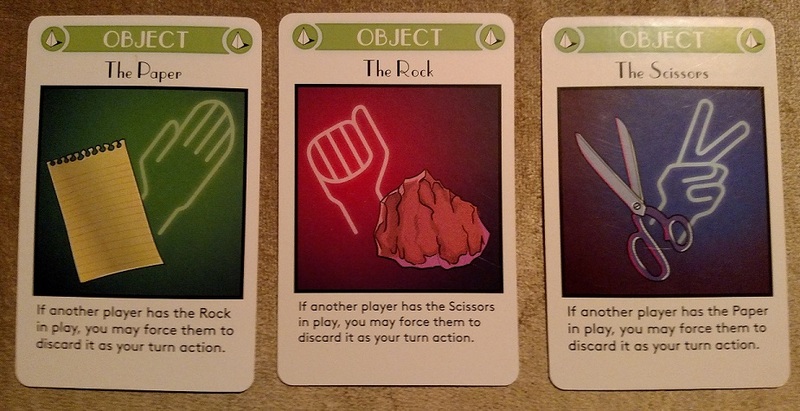 But the level of card interaction — like the Rock, Paper, and Scissors cards pictured above — make each game an unexpected treat. Plus it’s a hugely different game based on the number of players. With a big group, you need to be more aggressive, because you could run out of cards in a few minutes. With a smaller group — or just a pairing — you have to strategize more, protecting your valuable cards while trying to prevent your opponents from taking advantage early. Or, heaven forbid, getting the MacGuffin. 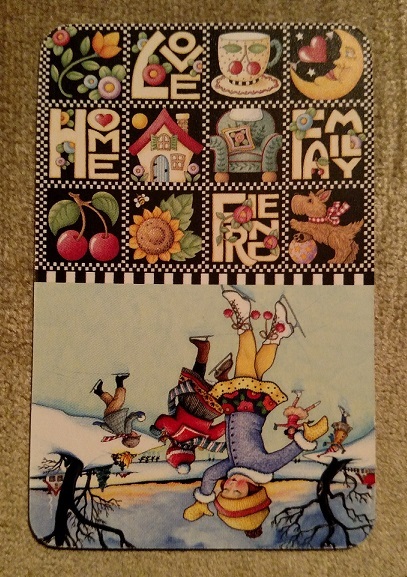 Not only that, but the art on each card is terrific. The random characters on the object cards in particular — everyone from The Merchant and The Spy to The Thief and The Assassin — hint at a larger narrative, a bigger storytelling world that the game seems to only scratch the surface of. They feel like the misfits from a particularly wacky Guy Ritchie heist movie, adding a fun element of whimsy to the often-dastardly proceedings. 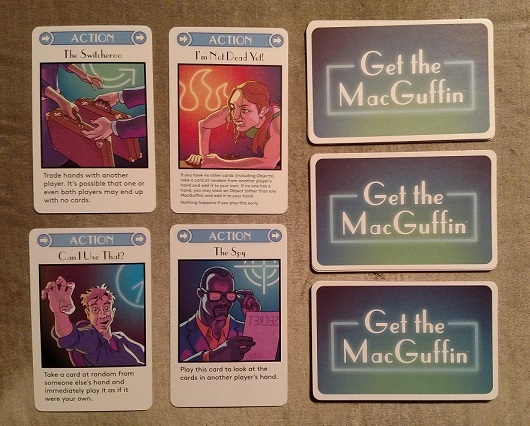 Get the MacGuffin is a quick-play game that you’ll want to play over and over again.